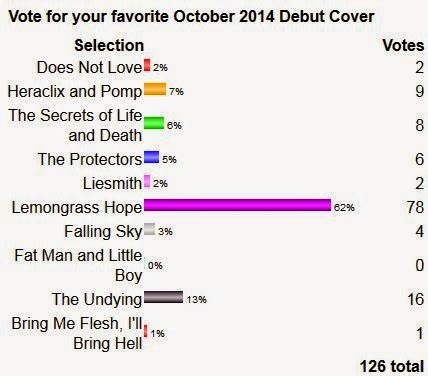 The winner of the October 2014 Debut Author Challenge Cover Wars is Lemongrass Hope by Amy Impellizzeri with 78 votes equaling 62% of all votes. Lemongrass Hope is published by Wyatt-MacKenzie. Thank you to everyone who voted, Tweeted, and participated. 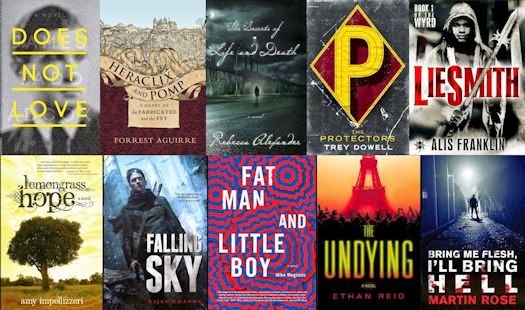 The 2014 Debut Author Challenge Cover Wars will continue with voting on the November Debut covers starting on November 15, 2014.